Washington imposed the sanctions under Section 231 of the Countering America's Adversaries Through Sanctions Act of 2017 (CAATSA), which was passed by the Congress last summer in response to Russian interference in American elections. Section 231 of the statute mandate the U.S. government to impose of sanctions upon anyone engaging a "significant transaction" with anyone on a list of persons associated with the Russian defense or intelligence sectors. "Secretary [of State Mike]Pompeo and [Treasury] Secretary [Steven] Mnuchin - imposed sanctions on a Chinese entity, the Equipment Development Department, otherwise known as EDD, and also upon its director, Li Shangfu," a senior Administration official told reporters on September 20. "EDD and Mr. Li are being added to the Treasury's Specially Designated Nationals and Blocked Persons List, which is a complicated way of referring to what we usually just informally call the SDN list." The senior Administration official said that Beijing is being targeted because the law-as passed by the U.S. Congress-requires the White House to act against China. "We want to stress that the legislative standard here is a significant transaction with an entity that appears on the List of Specified Persons," the senior official said. 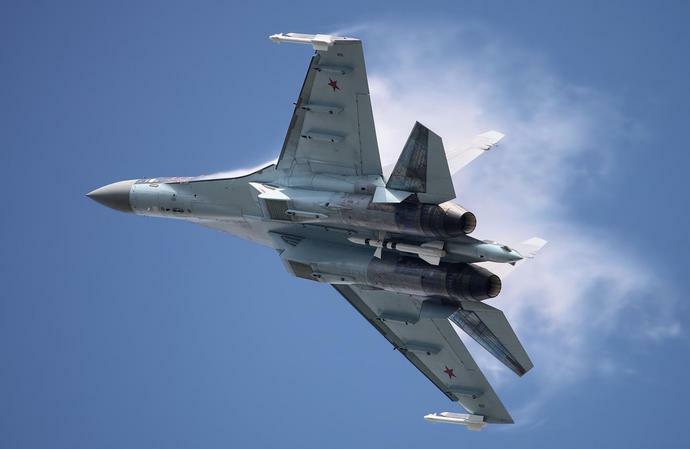 "We took these actions because China took delivery of 10 Sukhoi fighter aircraft, specifically Su-35s, in December of 2017 - of course, after the CAATSA statute came into force. And it also took delivery of a batch of S-400 - sometimes known as SA-21 - surface-to-air missile systems or related equipment in January of this year. Both these transactions, which I repeat occurred after the CAATSA sanctions statute came into force, were deals that were negotiated between the Equipment Development Department, or EDD, on the one hand, and Rosoboronexport, which is Russia's main arms export entity. And it, Rosoboronexport, is on the List of Specified Persons." The senior Administration official stressed that Russia-not China-is the target for the CAATSA sanctions. "I want to emphasize that the ultimate target of these sanctions is Russia," the senior Administration official said. "CAATSA sanctions in this context are not intended to undermine the defense capabilities of any particular country. They are instead aimed at imposing costs upon Russia in response to its malign activities. And of course, those malign activities are many that it's undertaken in its attempt to compete with the U.S. and our allies and our partners. The array of sanctions the United States has imposed against Russia and those who material support - materially support its malign activities are undertaken in direct response to Russia's aggressive actions against our country, our allies, and our partners." The senior official also detailed the specific sanctions that the Chinese will now face for their purchase of the Su-35 and the S-400. "We are denying U.S. export licenses to EDD. We are denying - or, in fact, we are imposing a prohibition upon foreign exchange transactions under U.S. jurisdiction; also imposing a prohibition on transactions with the U.S. financial system," the senior Administration official said. "We are blocking all property or interests in property within the U.S. - within U.S. jurisdiction. And we are imposing sanctions on an EDD principal executive officer. That's the fellow, Mr. Li Shangfu, who we mentioned before. And these sanctions include a prohibition on foreign exchange transactions under U.S. jurisdiction, a prohibition on transactions with the U.S. financial system, and blocking of all property or interests Mr. Li's - in property within the U.S. jurisdiction, as well as a visa ban. OFAC [Office of Foreign Assets Control] has also placed both EDD and Mr. Li on its SDN list, and as a result of that in itself, all property and interests in property within the U.S. jurisdiction are being blocked and U.S. persons are from here forth generally going to be prohibited from transacting with them." For Beijing, the fact that Washington's target is the Kremlin is a distinction without a difference-the fact remains that China is now being sanctioned by the United States. Beijing is promising that it will retaliate against the United States as a result. "The Chinese expresses strong indignation at this above-mentioned unreasonable action by the U.S. and has lodged solemn representations," Chinese Foreign Ministry Spokesperson Geng Shuang told reporters on Sept. 21. "The relevant U.S. action has seriously violated the basic norms governing international relations and seriously damaged the relations between the two countries and the two militaries. We strongly urge the U.S. side to immediately correct their mistake and withdraw their so-called sanctions, otherwise the U.S. will have to bear the consequences." The Kremlin also responded harshly to word that the United States had sanctioned China over the sale of the Sukhois and S-400s. In Russia's view, the sanctions have "no legitimacy in terms of international law," Kremlin spokesman Dmitry Peskov, said. He added that the United States "has resorted to this practice so frequently that you would run your legs off if you tried to respond to each of these unfriendly manifestations." Peskov also promised that Russia would respond to these sanctions in some manner. "Nobody should doubt that we have adhered and will continue to adhere to the principle of reciprocity," Peskov said. Far from being cowed by the new sanctions that Washington has imposed, Beijing struck a defiant tone. "China and Russia are comprehensive strategic partners of coordination," Geng said. "Our two sides maintain normal exchanges and cooperation in defense and other areas with the principle of equality, mutual trust and mutual benefit. The relevant cooperation aims to safeguard the legitimate rights and interests of our two countries and uphold regional peace and stability. It does not violate international law or target any third party. We will join hands with Russia to continue to implement the important consensus reached by the leaders of our two countries and elevate our strategic coordination to a higher level."